Do you struggle with the way your life is and the way you would like it to be? Does it feel like every day you’re wasting time doing things that don’t add any value to your life or even makes it worse? Do you want to change yourself and your life but have no idea where to start? Starting with a simple goal setting is a perfect way to steer yourself in the right direction. Having a goal helps you decide on what and when you need to do in order to advance in your life and make it better. But goals are only dreams until you make that first move towards making them a reality. In order to do that, you must create a simple and easy plan that is going to guide you in your goal achievement journey. This Bundle is just perfect for that! 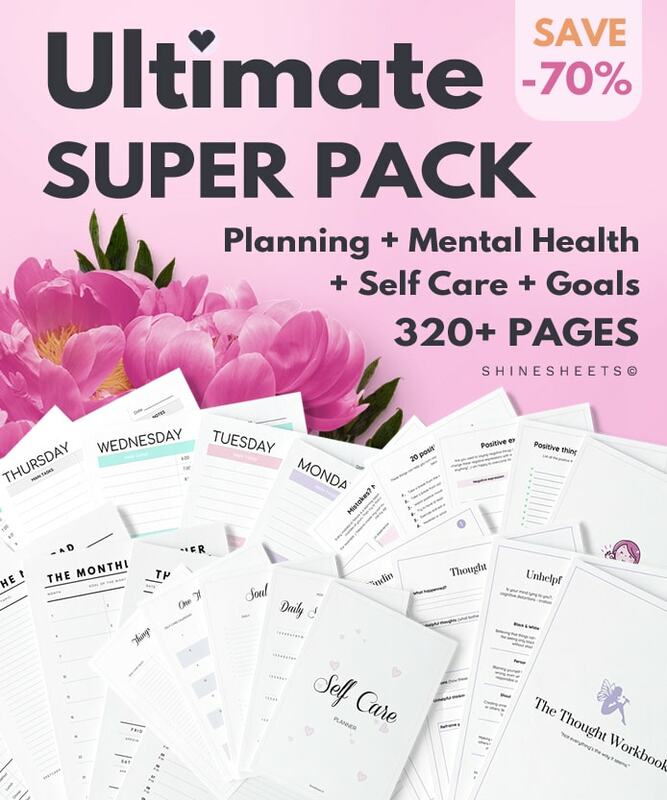 Easy and uncomplicated, this Goal Planning Bundle features 4 essential tools for successful goal setting and most importantly – they are easy, simple and understandable. These uncomplicated, printable tools that will help you plan your goals and develop new habits without getting overwhelmed. It’s perfect for people who want to start shaping their life but want to do that in a simplified, minimalistic way that prevents getting anxious in the whole process. How would you feel like if you could finally get out of your own way and start moving in the direction of your dreams? How would it feel like to finally achieve what you’ve always dreamed of and become the person you always wanted to be? To many people, it just feels like freedom. And the only thing that can take you that freedom is your own effort towards achieving it. It’s a simple truth – no one else can shape our future for us. It’s our own decisions, our actions and our thoughts that are moving us forward. With this Bundle, you can plan your goals, your steps towards them, your habits and even create custom challenges for yourself. All of that for one single reason – to help you achieve your goals and that liberating freedom. Does that sound hard? I promise – it isn’t! 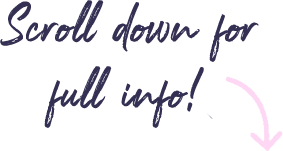 – SET, PLAN & SORT YOUR GOALS with a simple & user-friendly system. – SET A CRYSTAL CLEAR FOCUS for every month. – DEVELOP NEW HABITS EASILY in a minimalistic, decluttered way. – DARE TO CHALLENGE YOURSELF and track your progress on the way. A master goal planner will help you create your goals and break them down to easier steps. You will also be able to set yearly goals and goals by category. A monthly goal planner will help you create a crystal clear focus every month. Habit trackers will help you track the habits required for your dream to come true. Challenge calendar will help you track your progress or simply help you stay accounted and motivated by watching how long you’ve been doing great on a particular goal or challenge. It’s very important to have a simple system when you’re starting with your goals. Excessive and complicated goal planners will only make you feel overwhelmed and delay your succes! Having goals is essential in your life. Without goals, our life is just a mere existence. Take that first step towards your dream life today. This Bundle is perfect for that! You can start right away – download, print and start achieving your goals. 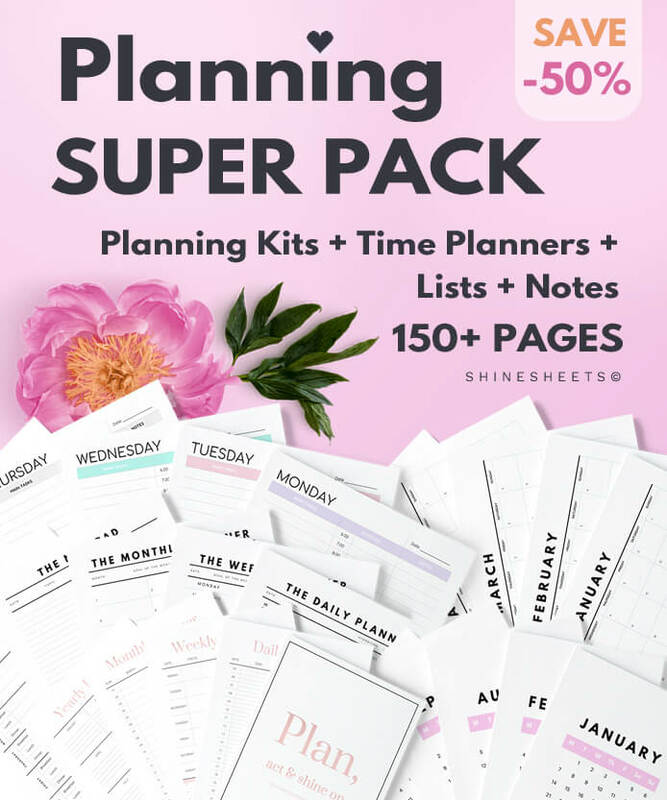 ShineSheets goal planning bundle was a real game-changer for an anxious and clueless person like me. I had absolutely no idea where to start and was getting overwhelmed just by the thought of it. Fortunately, this bundle made my goal planning process a piece of cake! So easy to download and use! Lovely quality and good price. I love your ideas and being one of the many that need extra help, I find these perfect. These Goal Planning sheets are awesome! They help a lot! !